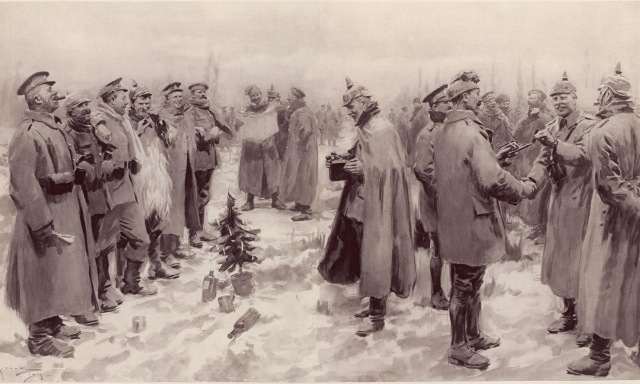 The famous Soldier's Christmas Truce of 1914, between German troops and the Allied troops, happened exactly hundred years ago this year, it was by any standards an extraordinary event. That unique & historic event will be recalled & commemorated in the Mayo Peace Park, at 2.30pm, on Christmas Eve. Them buggers are singing "Silent Night". Starting with a novel football game at 2.30pm, between teams representing the German Troops and Allied Troops, similar to the game that was played on Christmas Eve 1914. The German & Allied Troop's teams on this occasion will be drawn from the ranks of the Castlebar Men's Shed. The wonderful, Castlebar Town Marching Band will be on hand to provide some festive musical entertainment. The legendary piper Pat Conlon, will play some lively tunes of the period. A prayer will be recited in memory of the dead, followed by some relevant poetry readings. The "Last Post" will be sounded in memory of all who served and died during world war one. The Castlebar Men's Shed Choir will then sing a selection of Christmas Carol's and Song's. The powerful and evocative song, "A Silent Night 1914", will feature on the programme. 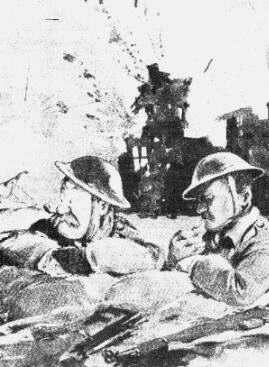 Everyone is heartily welcome to come along, join in or just listen to the Christmas carol's, music and song, around the specially constructed wartime bunker, for what will be a unique & memorable remembrance of the Christmas Truce and Silent Night of 1914".